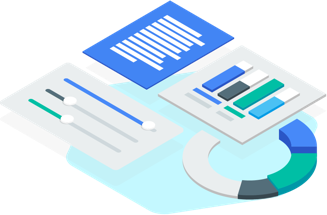 Data Studio Embedding – the ability to embed directly into web pages, and keeping all the interactions in tact. Lots of smaller enhancements , like column sums on tables, that have bi impacts on design and usability. 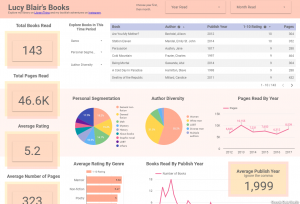 Lucy Blair’s Books – Lucy Blair’s reading list over 5 years put into data studio! Lot’s of inspiration and innovation here. Good example of personal dashboard and styling. You can troll around years worth of reading by Lucy and see all sorts of patterns. She not only gives the viewer control over very interesting segments, but she also reviews all the books and has lots of stats. Hopefully we will see more excellent examples of people using data studio to gain and share insights into their own patterns. 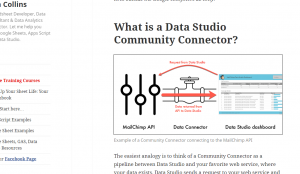 Community Connectors: Access all your data in Google Data Studio ?? – Ben Collins Jumped out of the gate shortly after the release of community connectors from Google early in September. He must have been dying keeping what he knew under wraps! This blog provides an excellent overview of how the new connector model works and excellent details on how to build and deploy your own connectors. A basic connector using a public API to show the current position of the International Space Station! You rarely see such in-depth and really useful posts. A definite 5 star effort and a piece I will be coming back to for reference. It was a light month for adding videos – technically this video came in at the end of August, but I’m adding it here because it was a toss-up last month. Benjamin Mangold provides another excellent and focused tutorial for adding a funnel report without prior funnel metrics from Google Analytics. He just uses the tools available in Data Studio itself. This Ad-Hoc funnel report using data Google Analytics does NOT need special setup for goals in GA. Another great video from Benjamin and Loves Data! About how I choose the top data studio resources…..
I’ve added posts to my Google Data Studio Resource finder since July 26, 2017. 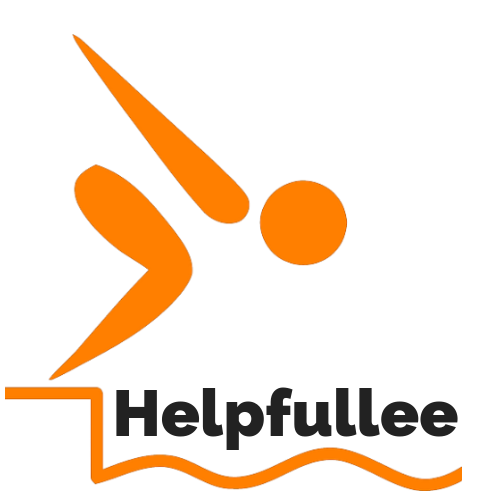 Now it has grown to over 130 linked and reviewed resources! Even with all reviews, I like to give some credit to blog posts, videos, courses, templates and examples that I find extremely valuable and original. I find most of my resources by using the Resource Finder itself – it is very easy to browse through the tweets section to find the newest material. If you find something you think is really good , or original, please let me know! Thanks for sharing! This is a great article. Do you mind if we share it in our blog? Also, can you give me your expert opinion on our template? Here it is: http://www.codedesign.org/free-ecommerce-template-for-google-datastudio/. Thanks in advance. Please , feel free to share this on your blog! Sorry for the late reply, traveling this weekend! I will definitely take a look at the template . this is a useful list for all of us who love Data Studio. Here in the UK there isn’t that much noise about the tool so my mission is to change that :-). As you saw on Twitter today, I am speaking about Data Studio at a SEO conference in December. Hopefully, more people will start using this great reporting tool.